The Emosson Dam is situated in the Swiss Alps, near the French border, 1930 meters above sea level, near the Swiss town of Martigny. Completed in 1975, the dam is 180 m high and at its coping is 554 m long with a thickness varying from 9 m (coping) to 48.5 m (footing). Water is collected during the warm seasons, when the snow and the glaciers melt, and used during the cold seasons, when the demand for electricity is greater. 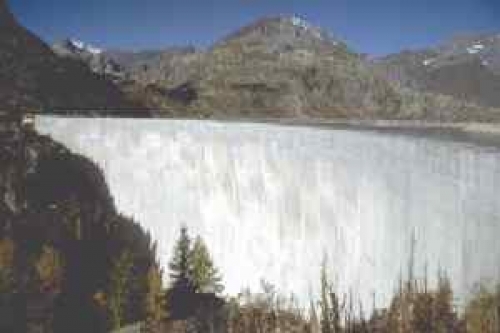 The dam’s maximum capacity is approximately 225 million cubic meters. There are three principal collectors that guide the water from the Alps glaciers to the dam: the west and south collectors guide water from the French Alps and the east collector from the Swiss Alps. Two power plants exploit the water, the Vallorcine in France (1125 m.a.s.l.) and the La Bâtiaz (462.5 m.a.s.l.) in Switzerland. In 1997/98 the total annual production of electricity was 936.6 GWh using 369.9 million cubic meters of water. The Swiss-French enterprise “Electricité d’Emosson SA” manages and distributes the obtained electrical energy. Two sensors, B3 (39m long) and F3 (29m long) were installed side by side with traditional extensometers. The creep occurred on both sensors mainly due to thermal influences. In order to improve the long sensor, a sensor F3 was dismantled and modified. F3-new sensor was then installed. . 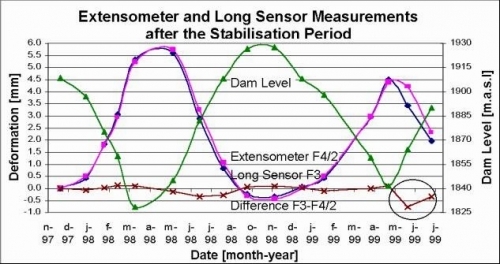 The measurement of sensor F3-new were regularly (monthly) performed over two years and compared with measurements carried out with neighbor extensometers. 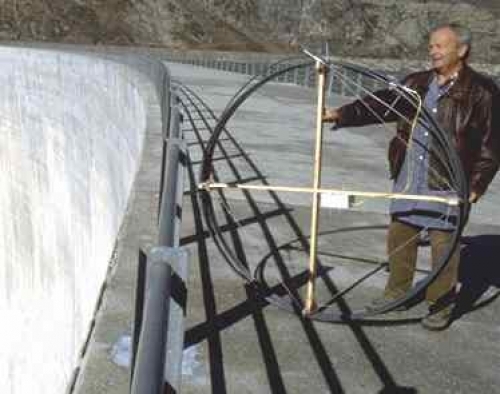 After the initial creep due to relaxation, the sensor measured the displacement of the dam with a high accuracy. 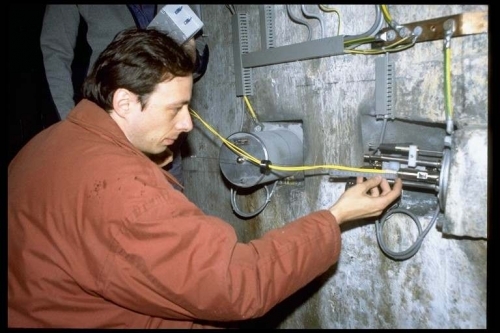 The sensor B3 continued to creep proving that the initial concept of sensor was not appropriate The sensor B3 is to be dismantled while the readings on sensor F3-new will continue, less regularly, in order to test long-term stability of the sensor.